Long as my recent entry about interdependence was, at one point it was even longer, because it included an entire additional section I had written about the role of feedback loops in supporting the interdependent web of life that we are part of, and about how modern life has been eliminating and masking feedback loops. The irony of cutting out a piece that was about eliminating feedback loops is only now becoming apparent to me. The word feedback, which originated in 1920 in the field of electronics, has expanded its meaning widely to refer to almost any mechanism by which information about the effect of an activity or process is returned and thereby can affect the activity or process. Such feedback loops are built into the way that natural systems work, and they affect all life forms at all levels. Natural selection, as one example, is based on continual feedback in the form of which individual organisms make it long enough to reproduce. Whole populations of species grow and diminish based on such feedback loops. As food sources dwindle, a population dies out and as predators are removed from an ecosystem, a population of animals can increase. In places where predators don’t exist, a species can literally take over, as has happened with several introductions of non-local species that are destroying previously existing balances. Our own human species, in relation to nature, has systematically endeavored to control nature with the desired effect of exactly those two outcomes: eliminating all of our predators, from large mammals to microbes, and expanding our food supply through the practice of agriculture and factory farming of animals. The result has, indeed, been a massive explosion of the human population to the point of threatening the continued existence of our civilization as we know it. We have not only tinkered with nature at great risk to our survival. We have exacerbated this potential risk by interfering with or eliminating feedback loops in our human systems as well. Economic theory as we currently know it is based on the premise that supply and demand are the key drivers of economic activity. As a result, businesses of any kind use demand for their products and services as a basic feedback loop. They all universally attempt to reduce their costs as much as possible so that what they offer can be sold to more people and so that they can have the profits they seek to have. This system works only partially, however, because many of the costs associated with manufacturing products are not included in the accounting system and are instead externalized, so that the price of the product is in actuality far cheaper than it costs to produce it if all the effects of producing it were counted. 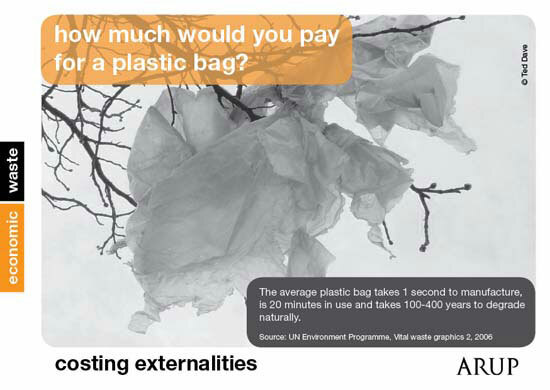 Costs which are usually externalized are the effects on the environment and on communities. Those who have dedicated their learning lives to studying this issue claim that many of our basic consumer goods would be beyond the reach of most people if all the costs were internalized. To begin to grasp what it means to externalize costs, and make it more concrete, think of this example. When any of us calls a customer service line and are put on hold for indefinite amounts of time, the company in question is externalizing its costs to us. However much we are told that “your call is very important”, the only reason we are on hold is that the company is hiring fewer people than it would take to staff the lines for all the incoming calls to be answered immediately. They effectively depend on our willingness to be their volunteer employee, if you will, supporting them in doing their business by waiting. If none of us were willing to wait, they would have to hire more people, and their service or product might well be beyond our means. Similarly, if someone had to pay for the loss of oxygen and the increase of CO2 in the atmosphere, for the erosion of topsoil, for the effect on communities of having pollution in their midst, and for the many other negative consequences which right now do not register on the profit and loss sheets of most companies, the recorded cost of production would increase. This is what internalizing costs would mean. Because the costs are externalized, we can, collectively, continue to delude ourselves into believing that we can continue with business as usual, without anything that would compel us to look at the true cost, beyond the price tag on the product we purchase. For some years now, I have been concerned, even alarmed, about the rise in use of anti-depressants. On an individual level, I have tremendous compassion for people who experience depression. I have never myself been depressed beyond a certain amount, and yet I’ve had enough to know the excruciating suffering, the debilitating effect of significant depression, the risk of death, in particular, and the loss of vitality, meaning, and even the capacity to engage in any activity at times. I can appreciate that any form of relief would be welcome. Being trained in sociology, however, I tend to see things more in terms of their social context and implications than many people I meet. Instead of focusing only on how to alleviate the suffering of individuals, I begin to ask questions. Why is it that we have more and more people who are depressed? Isn’t the growing rate of depression a form of social feedback? Aren’t we, perhaps, creating a way of life that is simply not working to attend to people’s core human needs? Why is it that our modern, industrialized societies are producing more depression, more addictions, and more suicides? Are the erosion of our communities, the intensified division of labor, the growing isolation within which we live responsible? Or is it the change to our physical environment? None of these questions can be asked and answered if we continue to medicate ourselves on a massive scale. The strong message that something is not working cannot be heard.In a strikingly similar manner we now have pills for stomach upset, for pain related to degenerative diseases, and for other ailments that have come to be seen as inevitable “side effects” of reaching a certain age instead of being seen as the diseases of the modern diet. My last example is in the area of my biggest expertise: human relationships and human organizations. Both our capacity to grow as individuals and our capacity to create and maintain relationships and organizations that thrive are dependent on giving and receiving feedback. We learn best when we can see the effect we have on others and the environment without shame or blame. We rarely experience these gifts in their sweet form. I work with enough individuals and organizations to know the extraordinary human waste that results from people holding back vital information for fear — of reprisal, of hurting another person, of losing connection, of losing a job — and instead keeping it to themselves or letting it out in the form of gossip, sabotage, withdrawal, or explosive anger when we are unable to contain it any longer. Unlike the other areas I named, learning to give and receive feedback is a human endeavor we can learn and master. This is change any of us can create. We can learn to receive feedback, even solicit it, and encourage others to give it to us. This is far from easy. It requires working with whatever sensitivities we carry, so that we can hear what may sound like a criticism and still see it as a vital gift. I have written about transforming our defensive habits, and I imagine I will return to this topic at some future time. Opening up to our own humanity strengthens us to the degree that would allow us to remain pliable and flexible in the face of even strong criticism from others. We can also learn to offer others the gift of what we see about them that we believe can help them become the person they want to be, bring their fullest potential to themselves and others, and know, with as much gentleness as is possible, what effect they have on others so they can choose their actions with clarity. We have this power, this capacity to offer this precious gift to others, and to do with care and awareness of their sensitivities, which are no different from ours. I have written before about the challenge of offering feedback, which everyone needs in order to learn, without criticism, which none of us like. Perhaps if we start with introducing feedback loops in those areas where we have full say, in our own lives, within our families and organizations, we can begin to turn the tide and restore the central role for feedback in all its forms. Then we can acquire, again, the taste and the desire for knowing our place in the larger web of life. We lost it for far too long. This topic is indeed a large scale one, as vital and urgent as it is broad and all encompassing. Which makes it a bit overwhelming to take in at one reading. World economics failing us all, and society breaking down close to the point of no return……not to mention wars, crime, and climate change. Of course, I’m mentioning them because of the element of interconnectedness that pervades it all and us all. These are indeed frightening things to confront. Yet confront them we MUST. But, so importantly, …….HOW!! We have become more and more robotic in our behaviors….. devoid of emotional intimacy……indifferent to scenes of brutal violence, usually in the media, but with so much violence threatening us it leaks into daily minding our own business when passing a road accident, thinking ….i could get into unexpected trouble with these strangers……who knows what’s hiding under their surface! Basically, we are disconnected and we don’t connect cause and effect anymore! Disconnected from each other and from the outcome of our actions, as well. Like robots, we have started to think one step at a time, avoiding looking seriously where these concerted steps are likely leading to. Even the big bankers and big business, though they seem secure, confident, surrounded by supporters and creature comforts, they have become obsessed with only one aim, and focus 24/7 on it………money……..
How ironic.! In that way they are just like the lowest wage workers they exploit……..they only do it for the money……..all else are secondary, dispensable, changeable details. And the logic already works perfectly…….that’s if you want to survive and are realistic about your own, private concerns…..surviving, and hopefully, comfortably, too. Challenge the system, your boss or job description, your’e out on the street…. Women know a lot about this, from way back, even further back than men. If you want to keep your salary coming, don’t pay attention to the lewd remarks and occasional ‘behind-taps’ from the men around you, including and especially clients. Speak up, and you are on (public) trial for fraud, irresponsibility, seduction…. So, thanks, miki, for putting it on the table……….even though I have my pessimistic doubts that enough of us can truly change direction, due to our deeply embedded tendencies to lose the internal battle…..internal-personal, as well as internal-social! !